Often called, “The Swedish Fish” in Nashville due to his Swedish roots, former goal keeper Jamie Meyer is the love affair between infectious top 40 pop and modern country music. After consistent touring and performances at places like The Bluebird Cafe’ and NBC’s Today In Nashville, Meyer is releasing a new single “Safe To Say”. Co-written with Keith Dozier who have had success this year with Montgomery Gentry. Jamie has made headways in Nashville by signing a publishing deal with Dan Hodges Music (March 2018). The latest music video for the previous single “Nothin’ On You”, made it into the top 10 video countdown at Taste Of Country and stayed there for 13 weeks straight. 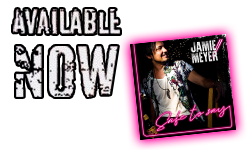 Jamie has performed with legends such as the late Stevie Ray Vaughn’s classic band- Double Trouble, and one of today’s most popular groups, Lady Antebellum. He has also recorded and co-written songs with Bryan Adams, Phil Thornalley, Håkan Mjörnheim & Jörgen Elofsson and many more. Meyers big break in Sweden came to fruition in 2002 when he finished in third place in the last season of “Popstars”. A TV talent show that later became known as “Idol”. Although he didn’t win “Popstars”, he was signed to Sony Music in Sweden and departed one year later to become an independent artist. Today he travels between The United States and Europe to write, record and perform. “Jamie Meyer’s latest release, “Good Night to Be Young”, is a great example of melding rock, Americana and pop. When first listening to the tracks, there was a comfortable familiarity that enveloped me. I couldn’t put my finger on it, so I just let it flow and enjoyed the lyrical narratives and great musical execution. Sort of like enjoying a rich, barrel-aged whisky. “If it’s true that good things happen to good people, then Jamie can expect so really great things in his future! His latest CD titled “Good Night To Be Young” is every bit as impressive as his others. Born in Hising Island, Gothenburg, Sweden on August 31, Jamie first gain national attention when he appeared on the Swedish television show Popstars.